Yesterday morning, at the G3 conference in Atlanta, GA, James White of Alpha and Omega Ministries and Michael Kruger of Reformed Theological Seminary in Charlotte held a good discussion of the canon of scripture (mostly the New Testament canon), and often times their conversation drifted toward matters of textual criticism. I would encourage you to watch the video (link below; sorry, it’s currently available only on Facebook), and if you are interested, please comment on some of the more salient points. For example, around the 45:00 minute mark, there is a good discussion of the relationship between the canon and individual text forms of books, which will probably interest many of you. Also, I would be interested to know what you all think about the distinction between the “ontological” canon and the “exclusive” canon (Kruger) or White’s Canon 1 and Canon 2. If I remember correctly, this topic arose near the beginning of the discussion on the video. Here is the link to the video: The Canon (G3 conference). I'm watching the video now and still close to the beginning. But I wanted to get a comment in about some things they're saying here before I get to the topics asked about. I haven't read Kruger's canon books yet (though I have read his brief treatment of the question in his Orthodoxy of Heresy), so I may not quite have the full gist of his position. However, in this opening discussion White talks about looking at canon theologically versus historically as a novel approach, among the authors he mentions, he neglects to mention Laird Harris, whose book, Inspiration and Canonicity, which I consider an excellent and under-appreciated book, which treated canonical questions both historically and theologically, and it seems to me anticipated the basic position that White and Kruger are advocating. I like their distinctions of definitions in this video, and I believe that a lot of fallacious beliefs about canon that I encounter all the time result from equivocating different senses of canon. If we want to speak about The Canon, in the sense of the true delimitation of books of the Bible, then the only thing we can mean is something that exists in the mind of God. This canon seen from a God's-eye-view is not the same thing as canons seen from a historian's-eye-view. We Christians should strive to make sure that the books we use as Scripture are the same ones God intends us to. And in this, we recognize that God has a delimited set. But our role is one of discovering what those are, not authoritatively delimiting them ourselves by any decree. 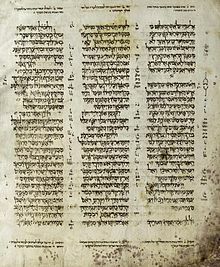 When we're doing history, and we look back at different views of the delimitation of books of Scripture by different people at different points in history (as well as the differences that still exist today and always will exist), there is no single The Canon we can point to, but only different canons, or different views about The Canon. It's fallacious to reify these varying opinions and speak about the development of The Canon, or the closing of The Canon. And when people try to do that, the inevitably not only commit a fallacy of equivocating the term, but they also inevitably misrepresent the historical facts. When people pick out various data points of history and try to connect the dots between them as though there was a linear development of The Canon that can be traced from these points, they can only do that if they selectively privilege certain data points, exclude others, and overstate the importance of local councils and mere personal opinions as if they were representative of The Church. And this approach fails to account for the delimitation of Scripture that clearly already existed, and was recognized by Christians (even if they were only going through a process of trying to discover what the delimitation of those books was with an openness to the possibility of learning there were more than they yet knew about), before we see evidence of them talking about it. When we're looking at the historical question of different people's view of the delimitation of Scripture, we have no choice but to admit that there never has come a point in time when that question was finalized, and it still hasn't been finalized today. When we're speaking about canonical questions in a context where we impose on ourselves the requirement that we consider the questions in a purely historical way, then we should follow the rule of saying "canons" rather than "The Canon." The only way in which we can talk about a single The Canon that has been closed is when we're talking about the God's-eye-view canon that was closed the moment he finished inspiring the books that belong to it. I also think that it's not solely "naturalistic professors" who should take an interest in discussing the history of canonical beliefs. Evangelicals should do that as well. They just need to maintain a clarity of what it is they're talking about, and not confuse human ideas about canons with The Canon itself. I think White and Kruger agree with me on that. But it seemed worth saying explicitly, in light of some of the ways I heard White refer to naturalistic professors doing this. Eric, thanks for these comments. I agree with your first and third ones. The second is on point but I want to probe a bit further. No question there has been much confusion over how modern scholars define and use the term "canon." Most scholars use the term to describe the historical end point of recognizing inspired books: a closed canon. Sometimes this has been called the "exclusive" definition. Another aspect of the concept that was not discussed by White and Kruger was the "inclusive" definition whereby books could be called "canonical" in the sense of a norm or an authority long before there was a closed canon, though I would think they would agree with this aspect of the discussion as well. The aspect of the discussion that is not discussed in the literature much, if at all, is the "ontological" aspect, which I thought you described well as "the canon in the mind of God." At the risk of sounding pejorative (I don't intend that at all), I'm wondering how this does not become a kind of Platonic construction whereby The Canon exists in the realm of the forms but is never fully realized in the particulars of history. This is a problem in my mind since what good does a revelation of God (the canon in a basic sense) do if it is not revealed in and to the church historic. Thus the historical canons are at best fragments of the canon in the mind of God. How do we adjudicate between the different ones throughout history and currently? Does the idea of an ontological canon help? Anyways, let's keep the discussion going. But if that endpoint is indicated in history by everyone agreeing about it, it hasn't arrived yet. I believe that attempts to locate such an endpoint anywhere in history rely on oversimplifications of the data. I see it as similar to the autographic text. There's an ideal of perfectly accurate knowledge about what God inspired that we're going for. And we may have something that approximates it very well, and maybe even perfectly so. But we can use the Bible we have with a measure of tentativeness, allowing for possible corrections to our understanding of what the right delimitation of inspired scriptures is. This position of using the Bible we have with tentativeness about our knowledge and earnestness to keep acquiring more accurate knowledge so that we can make sure our list of books is right is the position that 2nd century Christians were in (I think that's probably an uncontroversial claim). I think that's the same position we're still in, only further along in our acquisition of the data. But no event between then and now has settled the question of which books really belong in the Bible in any final way such that each subsequent generation of Christians will no longer need to ask it. For the New Testament, through studying the evidence concerning the authorship and reception of the individual books. For the Old Testament, studying the evidence concerning what books were Scripture for Jesus and the apostles. This is one of the criticisms of the exclusive definition. And yet, there needs to be some aspect of the definition of canon that contains the aspect of exclusion or "delimitation" (your word) from other important and significant works like the Shepherd or Tobit, since history shows this tendency. Maybe the aspects of closure and agreement are the problem? The platonic piece is a little disconcerting because it's based on an assumption that can't be falsified or verified. It assumes a delimitation of scriptures. Why not assume a proliferation of scriptures? That is, since the canon is in the mind of God and can't be falsified or verified, then why not make the opposite assumption? Because of history? But the earliest history has shown proliferation of scriptures to be the norm both at Qumran and Alexandria with some but not a lot of evidence of exclusion at both places. The Ethiopian church's 81 books appears to be a symbol since no one can agree on the 81. So there is evidence that proliferation could be an aspect of the canon in that tradition and therefore in the mind of God too. An inclusive aspect of canon in which canon and scripture are conflated is operative on some level, and yet most later Jewish and Christian groups began to make a canonical distinction between books. Some groups, like the Syriac church, took this very far and wound up with a 22 book NT canon. How does the idea of an "ontological" canon adjudicate between these canons? Again, it seems to me that there is such a canon in the mind of God, but what apologetic value does that have as soon as I see the disparity between historic canons, with only historical evidence to adjudicate between them? Yes, it removes naturalism, but some of these historical critical scholars on the canon are not naturalists. They assume a canon at the end of the process and return to the evidence of the process to see which books were and weren't becoming canonical in the historical sense of the word. We assume a canon in the mind of God and search the historical evidence for it. This method is okay as far as it goes, but if you simply study the citations of the OT in the NT you can't arrive at the 22, 24, or 39 books of the OT (and you wind up with evidence for 1 Enoch in Jude). And once you expand citations to allusions you have to include more books than those traditional 22 books, since several of the apocryphal books are alluded to in the NT. I'm not sure where this thread leaves us on the ontological canon. I think as Christians we can properly believe it exists. But also as Christians, who take the evidence seriously, we may need to acknowledge that it really doesn't help in delimiting the canon or defending one canon over another. Any further thoughts? This exchange has been helpful to me. Thanks. I definitely think we need to take the evidence seriously. That's how we figure out what the canon is. But we need to avoid mischaracterizations of the evidence such as inevitably happens when people talk about a process taking place after all the canonical books were written of a developing canon that was finally closed in the fourth century, or variations of that paradigm. When we find examples in early Christianity or Judaism of individuals or groups making lists of what they think the canon is, all that any of them were doing was stating what they thought the scriptures were all along before they made their lists, just like what we do when we make such lists. They didn't conceive of what they were doing as developing or closing a canon. Eric, agreed on both counts. Regarding the first, all sides are guilty of mischaracterization on some level. Regarding the second, on page xviii in the Biblical Canon Lists from Early Christianity, we say, "A second caution is that lists often (not always) date to a time when the major formative stages of the biblical canon had already taken place. We usually see in the lists the results of a long process of development." This is probably more true for the Old Testament than the New, since some of the NT lists (e.g. Muratorian Fragment [regardless of date] and Eusebius's list) seem to be drafted in the midst of the process. "This is probably more true for the Old Testament than the New, since some of the NT lists (e.g. Muratorian Fragment [regardless of date] and Eusebius's list) seem to be drafted in the midst of the process." This presupposes that there was a process that had an endpoint. I don't believe that historians have anything they can point to as the end of such a process. All they have is different data points of this person or group thought one thing, and this other person or group thought another thing. But it's fallacious for them to imagine that these data points are part of a linear process where we can draw a line connecting the dots reifying the abstraction of "the canon" as a thing that went through a process of developing and then at some point stopped. The only historical events that really belong to a process of forming and completing The Canon, are the events of the composition of the books, up until whenever the last one was written. The author of the Muratorian Fragment was appealing to the evidence available to him to ask and answer the question of what those books were. He, no less than Athanasius, understood himself to be talking about a canon that already existed, which he was discovering and telling others about, but not inventing or developing. And we today are still doing that very same thing. If we want to say that the author of the Muratorian Fragment was in the midst of a process of doing that, then we should admit that we today are still in the midst of that same process. Allow me to qualify what I just said. I do think that, when we think of individuals and groups in early Christian history engaging in a process of figuring out what The Canon that already existed was, by seeking out and sharing evidence for it, there can be (and probably was) a point in time when the necessary evidence had accumulated and been shared to such a degree that we can no longer expect any future uncovering of evidence to change anyone's mind. If people who disagree about canons today change their minds, it will be through consideration of evidence that has long been widely available, or through some a change of mind on a theological level. But if this watershed is the endpoint of any process, it's merely the endpoint of the process of gathering and sharing evidence for what The Canon that already existed was, not the endpoint of forming The Canon. Two quick thoughts. First, Platonism is bad insofar as it denigrates the material for the immaterial. But merely distinguishing those two is not bad. So, a canon that exists in the mind of God (which surely it must) is not bad. But I agree that it doesn’t do us much good so long as it stays there. Second, there is an analogy to text here in that the inspired text exists in the mind of God as well. And here Christian views of inspired text run on similiar tracks to secular views which say that the goal of textual criticism should be tied to the author's final intention. Warfield actually ties the text to the author's mind as well. In this, Warfield would seem to allow that the author could blunder a word but not intend to and that wouldn't matter since what is at issue is what was intended not what actually made it on to the papyrus via ink. Our own PJW has teased this out in his response to Ehrman in the book edited by Carson on Scripture. Peter, thanks for your comment. I'm trying not to use "Platonism" in a denigrating way. I'm only suggesting that most of the use of the term canon, ancient or modern, is to speak of a revelation of God. So any reference to the noumenal properties of a canon or to locate it in the realm of the forms or the hidden mind of God is to defy what most all have applied to books with that label: discernible, divine characteristics. Clearly, the books don't stay on that level, since Christian churches began to list the ones recognized as such. But those same Christians don't seem to care about a noumenal canon either. Thus the usefulness of the term is questioned. All agree on the fact of a canon. But which canon being described is usually the point at issue. Peter, I knew that about you ;). But seriously, I'm asking the question of how it helps us :). I'm confused now. "The Canon" as ontological, in the mind of God? But again, this is where I question the usefulness of the term canon because there's been no recognition of it as such. I still think we can point to a crystalized closure of the canon in the fourth century even if disputes continued. And I think most would agree with this. Yes. The Canon, as ontological, existing in the mind of God, is a delimitation of books that have been written in history. So if we're looking for historical events to point to as parts of the development and closing of The Canon, then the only events that fit the bill are when the human authors under the inspiration of God wrote the books that belong to The Canon. And when the last book was written, the complete Canon existed in space and time. I'm pretty sure that most would. I just don't think it works. So let's ditch the word 'canon', but admit that God's got a list in his mind. Historical actualities may bear witness to that list, but the list itself doesn't depend on them. To speak loosely, the may be all sorts of lists in God's mind (e.g. lists of his names for all the stars) which have no testimony known to humans. However, I think it is still good for us in our knowledge of God to confess his omniscience by acknowledging that he has (what to our finite minds are) lists. The list (e.g. star names) doesn't have to be accessible to us to be theologically necessary or important. Pete, I grant your point, especially about the stars. However, I think we could all agree that the list of the names of stars (as important as that might be) would not be on the level of special revelation of God himself, which historically the churches have tied to the list of recognized books. In fact, the sheer degree of importance of the latter list of books is probably sufficient warrant for retaining the traditional term for such a important phenomenon--canon--instead of calling it a list ;). I agree that the idea of the 'list' is very important. There's no sense in using the word 'canon' for modern theological definition because of its multivalence, unless one is, like you, compiling historical lists which were called canon lists in their own day. However, I don't want us to act as if human identification of the list precedes recognition of the authority of books. Ezra, Peter and Paul did not have the final list, but they did recognize books. My ability to recognize John's gospel as authoritative, apostolic and God-breathed does not depend on its list membership, though its status as a God-given book already creates the potential of a list of God-given books. The first act is God breathing the words of a book. Then comes human recognizing it as from God. The (logically, though perhaps historically simultaneously) comes the human action of connecting it with other books known to come from God in a mental list. Finally we might have a written list. Thanks, Pete. I always appreciate the interaction. Let's parse this one, shall we? At what point does a traditional term simply stick? To my knowledge, you are the only one calling for a different term. Why is that? I agree. Stay tuned for tomorrow's post. Yes, but does it work the other way around? That is, once a book begins and continues to be placed on the lists (its long-authoritative status is recognized), doesn't it become difficult, impossible(? ), to remove it from the lists? See the NT table of contents of the 1534 Luther Bible. The guy tried to demote Hebrews, James, Jude, and the Apocalypse, and through this exercise, we learned that no one person could make those kinds of revisions and expect them to be sustained. So there is still something to the list of ecclesiastically recognized books, right? Do you think each generation wakes up anew and could recognize different books, more or less, than the churches have handed down to us on lists? Theoretically, the lists could change, but I'm trying to think of the right scenario. Sure. But there's no need for the subjunctive: there was a written list, called a canon :-). I believe what you have stated here is exactly what both Drs. White and Kruger were saying in the video. God, Himself knows before the Spirit carries along the human authors that what they are writing is scripture. Since God has spoken through a number of such writings, and only through these limited number of writings, there is a list or canon that exists even before humans recognized it. Whether this was ever articulated by the early church or not, the very fact that attempts were made to define such a canon or list presupposes their belief that God has spoken in only certain writings, the ontological canon. Additionally, I find it interesting that you seem to believe that their were numerous canons and that they were all different. Just because some Christians may have included the Shepherd or 1st Clement or excluded some of our current 27 NT books doesn’t negate that a specific canon does indeed exist. In fact, this development of canon consciousness would be expected in the process as articulated by Dr. Kruger. Can we not see the realization in the writings of the Church Fathers of this very process. Scripture and Canon are are ontologically the same, but for us scripture precedes our recognition of a canonical list. Tim, thanks for chiming in. Given inspiration, we all agree on the ontological canon. The question is how (if it does at all) does that belief intersect with the evidence of historical canons? That different traditions had/have different canons is not a belief; it's a fact. I don't think that's debated. The question is how do we adjudicate between them, and does the hidden, ontological canon help in the discernment/recognition process? Maybe. But I'm coming to the conclusion that the ontological canon idea is helpful only as a starting point to establish the fact of the canon, but it did/does not help in the recognition process of that canon. I still think we need to work through the relationship of canon to scripture. It's clear I don't conflate them. To be in the canon, a book must have been scripture, but there were books that were scripture even though they were not finally included in the canon (e.g. the Shepherd). I'll probably blog on this idea at some point. But the book on Canon Lists touches on it, and I have a couple of other papers that address the matter to be published in a year or so. I look forward to your writings. I am not sure what percentage of Christians would agree with your assertion that ‘ there were books that were scripture even though they were not finally included in the canon’. I definitely do not hold to this concept, unless you mean books that some group considered scripture. This may be the reason why we differ on the relationship of scripture to canon. In any case, I appreciate you and your insights on this topic. Tim, I know what I wrote sounds weird to you and to most, actually. It sounded weird to me too, before I started researching the question in early Christian sources. There, it seemed to be a common refrain. I will see whether I can throw a post together on it soon, but I probably should get off the blog and get some work done today :). Again, thanks for your comments, Tim. John, I agree completely that each generation does not start its own entirely new list. When I said "Finally we might have a written list" I should have clarified that I'm not denying that people in the past have had lists, or even that I have one myself, but merely noting that a list is not necessary for Scripture to function, when we recognize the plurality of the books of Scripture. The authority of Galatians or 2 John precedes their appearing in any list and the original audiences did not have to know that these were later going to be listed alongside other books to recognize that they came from God. Pete, I agree with what you wrote here, and I'm glad you clarified that each generation does not start its own new list. That seemed like a theoretical possibility given what you said earlier. True that a list was not required for scripture to function and a complete canon was not required for a canonical process to be underway. And although the people would and probably did make conceptual distinctions between books early on, there still was need for clarifying the boundaries between the canon and other useful scriptures. That is, a distinction between the crystallized canon and an open collection of scriptures eventually happened.